Thank you for being interested in obtaining a copy of the Community Café Toolkit: Your manual and tools for establishing a café for people living with dementia. Community Cafés can help to increase the opportunity for connections with and social support for people living with dementia, their families and carers in a shared community setting. The Community Café Toolkit will help to assist you in establishing a café in your local community. Please complete the request form below, once you have completed the form you will receive an email which will include the link to download the Community Café Toolkit. 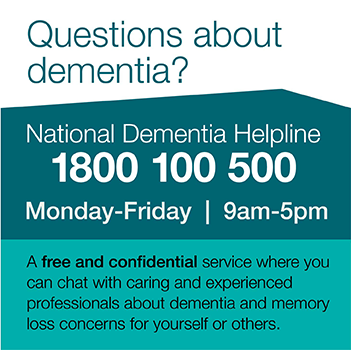 This initiative is funded by the Dementia Australia National Quality Dementia Care Initiative with support from the Australian Government.